I make slides for guitar players and over the years I have tried all types of materials from Brass, Chrome, Porcelain, Glass for my slide playing. 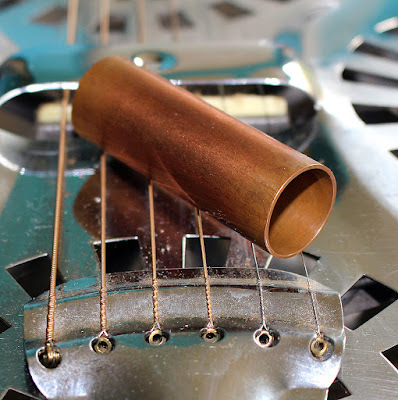 But for my acoustic Dobro/Resonator playing I like copper. I find that copper has the right bite for the heavier gauge strings used on these type on these guitars that gives me that warm gritty slide sound I like. 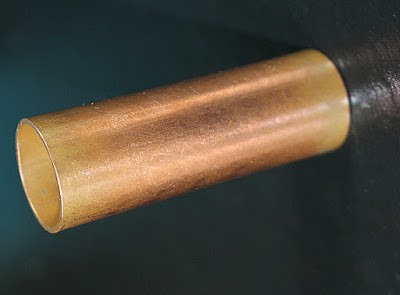 The copper seems to bite into the bronze strings a bit and allows for that gritty blues sound while still being able to produce the right warmth for that back and forth vibrato motion which is so important to the technique involved in expressive slide playing. The variations of effect that different guitars and different slides make in combination has been discussed since the 1920s. The slide's density and wall thickness cause differences in sustain, timbre, and loudness, while the surface structure and material affect tonal clarity and timbre. 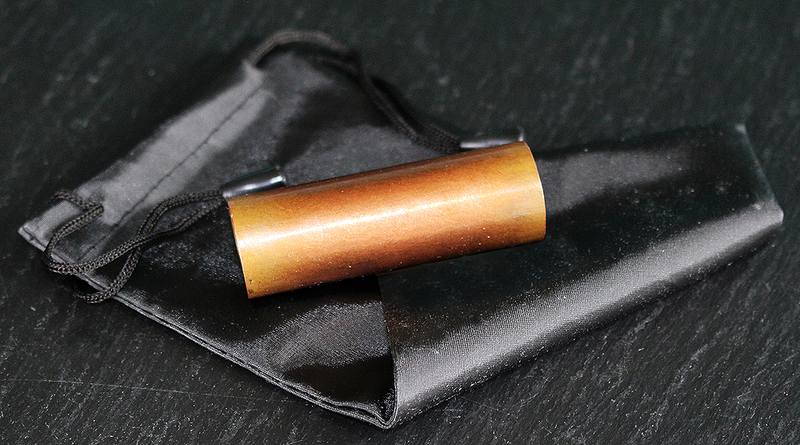 Such a broad range of materials have been used for slide playing, from a cigarette lighter favoured by Pink Floyd's David Gilmore to entire beer bottles featured by Danny Gatton. Well known slide players like Robert Johnson used copper slides as does George Thorogood and Ronnie wood from the Rolling Stones. These slides are made from genuine old copper pipe that has been sourced cut and cleaned. This size gives enough weight to the slide while having the length to cover the Dobro properly at the 12th fret. Use them with some heavier strings and you wont be disappointed.